I find something magical about stories that dance around characters. 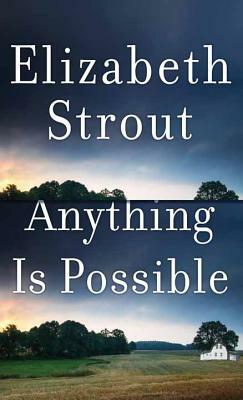 In Strout’s newest work, each story, or if you read it like a novel, each chapter, is from a different perspective of one of the current or former inhabitants of Amgash, Illinois. Slowly we figure out everyone is tangentially connected to Lucy Barton, a previous Strout protagonist. The tales veer from dark to light, from brutal to quirky, and from haves to have-nots, though even some of the haves were once eating garbage out of dumpsters. When the struggling Patty Nicely and her well-off sister Linda talk on the phone, it’s clear that neither really understands the others deepest thoughts, and that’s one of the joys of this story, allowing us to view all the characters from the outside and the inside. And as you read, you get a little excited when you realize that a side character like Dottie Blaine that you found interesting is finally getting her spotlight. So do you have to have read My Name is Lucy Barton to read Anything Is Possible? Absolutely not. But if you haven’t, my guess is that you’ll feel compelled to read it soon afterwards. Two sisters: One trades self-respect for a wealthy husband while the other finds, in the pages of a book, a kindred spirit who changes her life.